We are much obliged to Henri de Villiers and the Schola Sainte Cécile for permission to publish this translation by Mr Gerhard Eger of the article “Les chasubles pliés: Histoire et liturgie”, which is also being published simultaneously on Canticum Salomonis. Readers may also find some of our previous articles on folded chasubles of interest: here, here, and here, and on the short phelonion here. 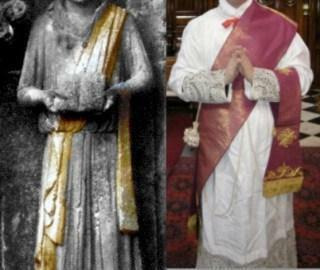 The chasuble was originally a civil garment used already by the Etruscans, and became widespread in the Roman Empire beginning in the first century of our era, to the point that it became an elegant article of clothing in common use. It was a round garment with a hole in its centre to pass the head through, and covered the upper body down to the knees. 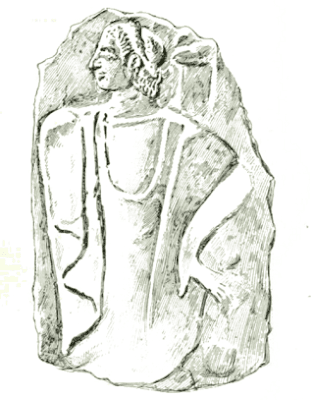 It is known under different names, the principal ones being: pænula, the most common name in ancient Rome; casula, literally “little house”, because it was a sort of little tent (this term has resulted in the English “chasuble”;) planeta, the term later used by the Roman liturgical books, whereas the rest of Western Europe has always preferred to use casula; and amphibalus mainly employed by the Fathers of the Church of Gaul. 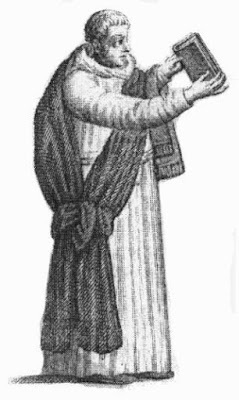 Etruscan pænula (rolled up over the arms), 4th century B. C.
At this time, the chasuble was the general vestment of all the clergy, not only that of bishops and priests, but also of deacons, subdeacons, and—according to Alcuin (c. 730-804)—in certain circumstances even of acolytes! Amalarius of Metz (775-850) tells us that the chasuble was still worn in his time by all clerics without distinction. He calls it the generale indumentum sacrorum ducum . It was still employed by acolytes in certain regions into the 11th century . From the singing of the Gospel until the end of the Mass, the deacon, in order to be freer in his movements, rolled up his chasuble and slung it across his shoulders over his stole. The celebrant’s chasuble did not need to be folded  precisely because the deacon and subdeacon would help him by lifting up its edges at certain times, during the incensations and at the elevations. This beautiful gesture was faithfully kept by the Roman liturgy, even when it ceased to be necessary after celebrants’ chasubles began to be clipped and reduced in shape. 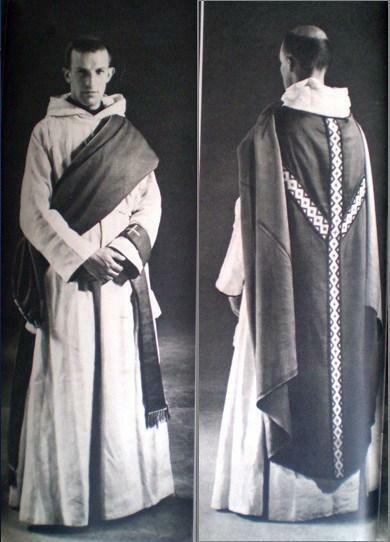 Deacons’ and subdeacons’ folded chasubles were later replaced, beginning in the 5th century, by two new vestments: the dalmatic and the tunicle, vestments endowed with sleeves that made it more manageable for them to carry out their liturgical and ministerial functions. 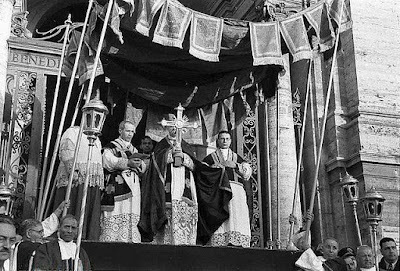 Still, Rome took a long time to adopt this novelty, and the Ordines Romani that describe the Roman liturgy at the time of St Gregory the Great and a bit thereafter (7th century) still name the chasuble as the vestment worn by the pope, the deacons, and the subdeacons. 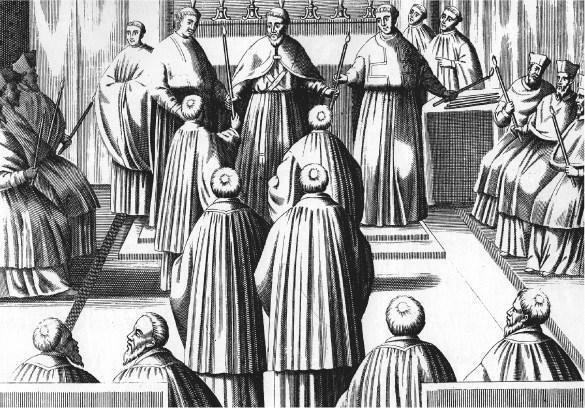 Moreover, John the Deacon (c. 825-880), the biographer of St Gregory the Great (c. 540-604), in his Vita Gregorii Magni, designates the rest of the clergy that accompanied the Pope on processions with the term planeti (“those wearing planetæ”, i.e. chasubles). 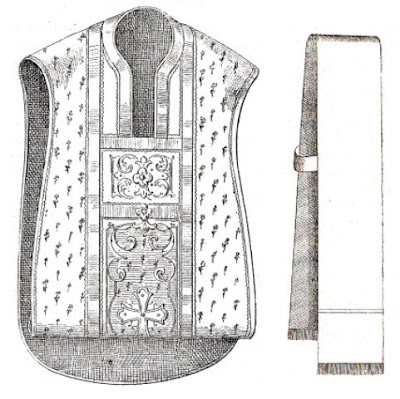 “In cathedrals and major churches, chasubles are used folded before the breast on fasting days (except on the vigils of the saints), and on the Sundays and ferias of Advent and Lent, and on the Vigil of Pentecost before Mass (except on Gaudete Sunday, and when its Mass is repeated during the week, on Lætare Sunday, on the Vigil of Christmas, on Holy Saturday during the blessing of the candle and during Mass, and on the Ember Days of Pentecost) also during the blessing of candles and procession on the day of the Purification of Our Lady, and during the blessing of ashes and the blessing of palms and the procession. 1. 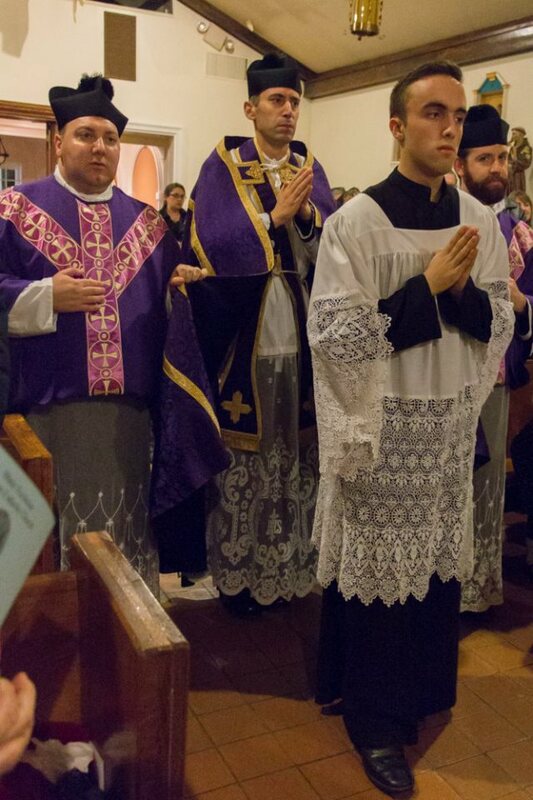 Folded chasubles were only used on penitential seasons, and hence only in violet or black. They were not used (even if the above rubric does not make it explicit) for the Mass on Maundy Thursday, celebrated in white, but were for the Mass of the Presanctified on Good Friday, celebrated in black. Before the reforms of the 1950s, the Vigil of Pentecost was like a second Paschal Vigil, and comprised six prophecies before, the beginning of the Mass. This fore-mass was celebrated in violet and hence folded chasubles were used. The subsequent Mass was in red. Likewise, on Holy Saturday, the deacon blessed the Paschal candle in a white dalmatic, then put on the folded chasuble again for the Fore-Mass in violet (which comprised twelve prophecies and the blessing of the font). The Mass following this Fore-Mass was in white vestments. 2. Sundays of Advent and Lent are not fasting days (one never fasts on Sundays, which always celebrates Christ’s resurrection) but are still included as part of penitential seasons because they are celebrated in violet. Nonetheless, the rubric of the Roman Missal does not mention Sundays of Septuagesima, which are also celebrated in violet. With some exceptions, medieval commentators did not recommend the use of violet chasubles during the season of Fore-Lent. (To follow the rubric rigorously, one should not use them on Sundays during Septuagesima, but one could consider using them on Mondays, Wednesdays, and Fridays on the three weeks of this season, for they were once fasting days). 3. The two Sundays of Gaudete and Lætare are breaks in the midst of Advent and of Lent, days of joy when the Church gives the faithful a foretaste of the rejoicing that awaits them at the end of these two penitential seasons: the vestments are rose-coloured instead of violet, altars are adorned with flowers, and the organ and other musical instruments are played. 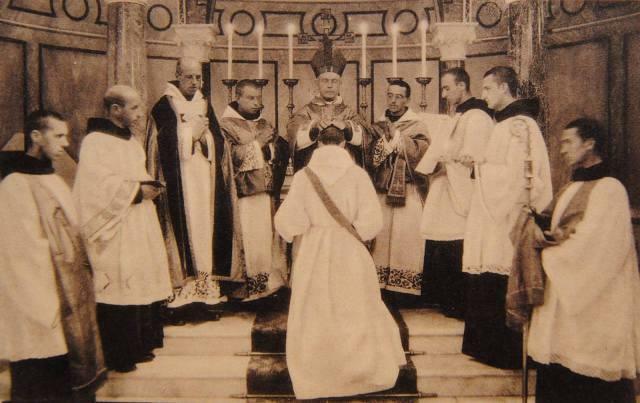 The Mass of Gaudete Sunday can be celebrated again during the week that follows, and is endowed with the same privileges (the Mass of Lætare Sunday cannot be repeated during the following week, since each feria of Lent is provided with a proper mass). 5. By “major churches”, the rubric means cathedrals, collegiate churches, and also parish churches. This was confirmed by a decision of the Sacred Congregation of Rites dated 11 September 1847 addressed to Nicholas Wiseman, bishop of London, who was then reestablishing the Catholic hierarchy in England and whose entirely new parishes were still often bereft of vestments. The same decision counseled him to celebrate Mass in his cathedral without sacred ministers rather than have deacons and subdeacons without folded chasubles. 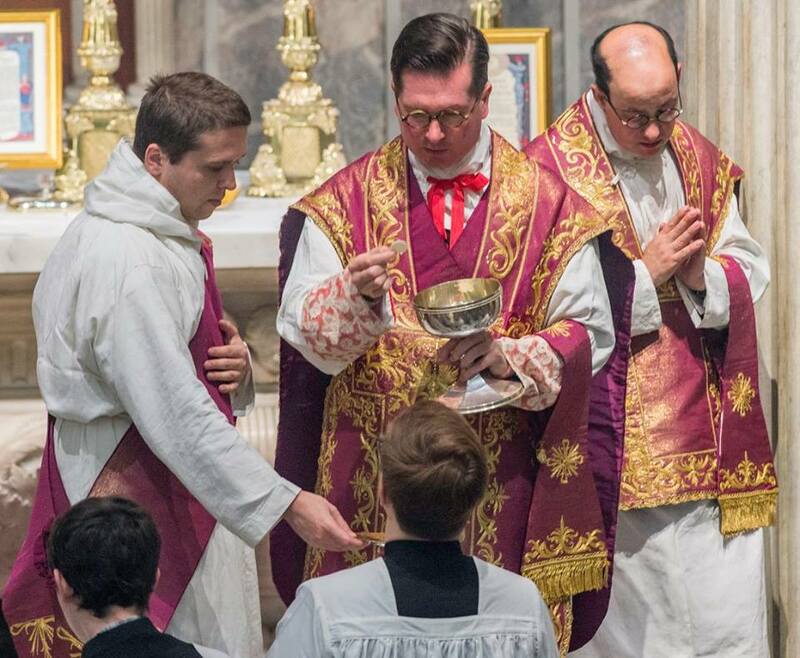 This decision must have seemed a bit inflexible because it was suppressed in later collections of decrees of the S. C. R.: a principal church lacking folded chasubles can always have ministers serve without folded chasubles, wearing only alb, stole, and maniple. 8. The use of folded chasubles was linked to an idea of liturgical time, for they were not used during Requiem masses, which are not tied to any particular season; black dalmatic and tunicle are used instead. For the ministers to assist the celebrant, it suffices that the front of their chasubles be folded; but when the deacon or subdeacon must carry out those tasks proper to them, they entirely remove this vestment or fold it still further. 1. 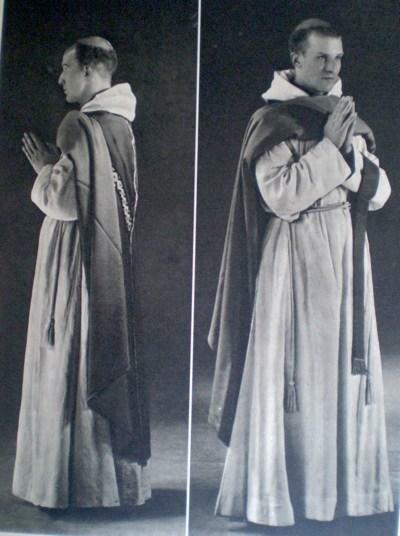 From the folded chasuble to the cut chasuble. Caeremoniale Episcoporum, Book II, chap. XIII, n. 3.